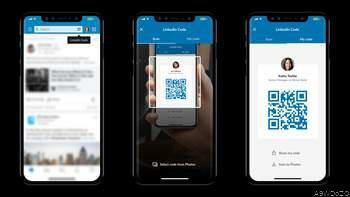 Announced via a blog post, the company says that adding support for QR-based business cards makes it much easier to connect with people in the real world. "Today we're introducing LinkedIn QR code so that you have a simple way to quickly find the profile of someone you just met and connect on-the-spot." The next time you're at an industry event and meet someone that you want to keep chatting with, open the LinkedIn app and scan their QR code to connect and stay in touch. Gone are the days of requesting a business card, asking the person to spell their name, or handing over your phone to make sure you found their profile.